To much fusions for you? Want something local? 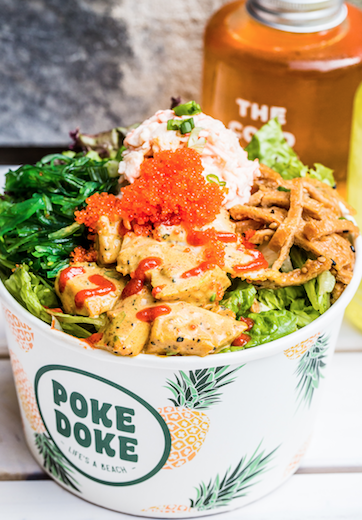 If that’s the case then you’ll really have to try our B’daddy chicken poke. Tender chicken cube coated with home mixed curry then drizzle with california sriracha sauce. No wonder B’daddy love it so much. TOPPINGS: Chuka wakame, flying fish roe, beancurd skin, edamame and california crab mayo.